With a focus on delivering remarkable client experiences, BOWA specializes in luxury renovations ranging from master suites and kitchens to whole-house and whole-condo remodels. 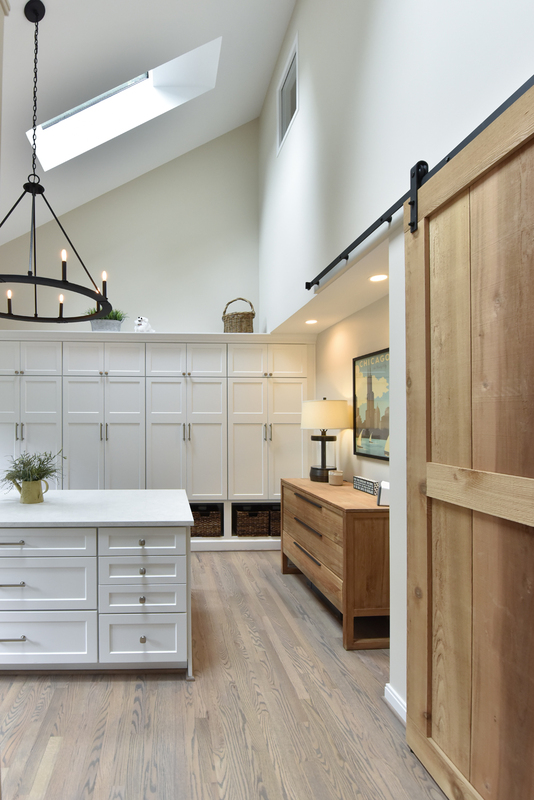 Drawing on a tradition of excellence for over 30 years, BOWA’s design build professionals have found that complex renovation projects require input from numerous experts. Having one party that assembles and manages the team, takes accountability for the entire design build process and looks after the client’s best interests is the key to delivering a remarkable remodeling experience. Clients appreciate this approach, as 95% of them rate BOWA a 9 or a 10 when asked if they would recommend the company. BOWA’s commitment to customer service and industry-leading budget guarantee, schedule guarantee and warranty are also cited among their reasons. Ultimately, our entire process – from early planning, through architecture and construction, and continuing with a lifetime of customer service support – is intentionally designed to ensure our clients’ peace of mind. Over the years, BOWA has been honored with more than 230 local and national awards for business, design and construction excellence, including being named National Remodeler of the Year by Professional Remodeler magazine, Best Remodeling Firm by Bethesda Magazine and Largest Whole House Remodeler by Qualified Remodeler magazine. With offices in McLean and Middleburg, BOWA proudly serves clients in Northern Virginia; Virginia’s Hunt Country; Montgomery County, Maryland; and Washington, DC. 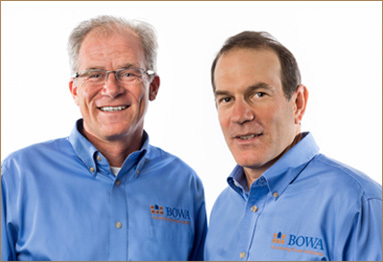 BOWA was founded in 1988, by Larry Weinberg and Josh Baker, who became friends while attending the University of Virginia. After a short time in the corporate world, as an accountant and chemist respectively, the two began planning to set out on their own. Recognizing the untapped growth in the construction market in the DC area, the men relocated to Northern Virginia to work as laborers/carpenters on remodeling crews in the summer of 1987. The following January, BOWA was formed with a $5,000 investment from each. By the end of the first year, the team had hired four people, completed twenty-seven contracts and earned $309,732 in revenues. Now, with total accountability for the entire process, from architecture through construction and beyond, the BOWA team could ensure clients received both the highest-quality craftsmanship and world-class customer service at every step. BOWA’s company-wide commitment to delivering a remarkable client experience soon became evident in every facet of the business, and remains a recognized hallmark for the brand. Today, 80-90% of our projects come from returning clients and referrals, which we believe speaks to the experience of working with BOWA. Others can build pretty rooms, but it’s BOWA’s client-first approach to luxury remodeling that has earned us this unprecedented level of loyalty.